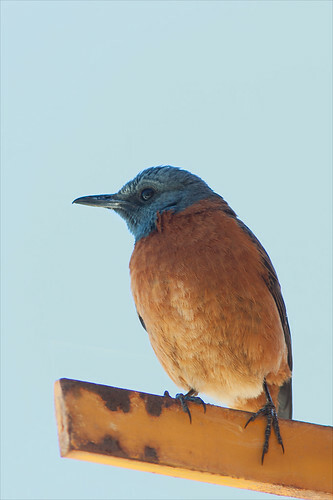 Cape Rock Thrush (Monticola rupestris), Hermanus, Western Cape, South Africa. Taken yesterday in the nature reserve behind my folks place. Pity he prefered this perch in the shade, instead of the bush near by! Hence slow shutte speed handheld. Will get a better one next time I go visit.